Take advantage of these images for you immerse in this universe so special is the desert of Agafay in the Morocco. Probably one of the most idyllic to say ‘yes’ surrounded by your loved ones in full nature, and although obviously celebrate the day under the vault of heaven. If you want to have an intimate wedding with only your family members and your close friends by your side on your special day, then you should think of getting married in some offbeat locations which will make a great background for your wedding video. A wedding in the desert will not only be unique for its location, but will also give you a great background that will help your wedding photographer and wedding videographer. Moreover, it will provide you with the much needed intimacy. When you were dating your beloved, both of you must have indulged in discussions and conversations about travelling to the exquisite places of the world. 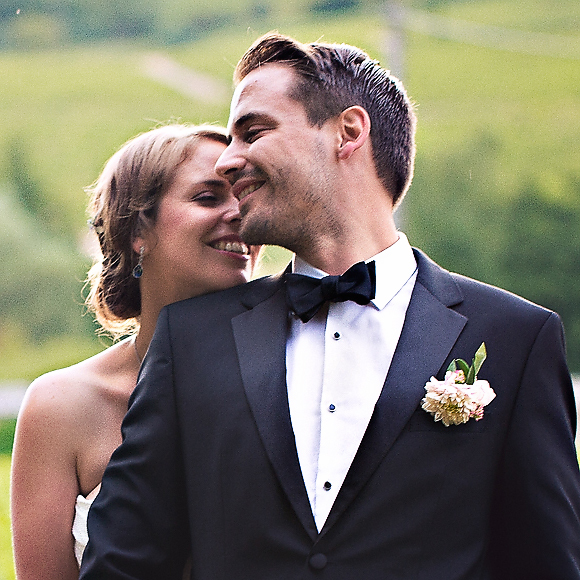 So, why not get married in an exquisite location? It will be like a dream wedding, it will be romantic, offbeat and unforgettable. 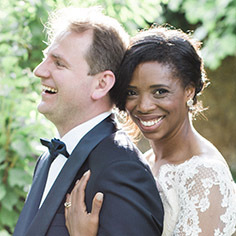 Wedding in Africa, wedding in Agafay desert and wedding in Marrakech is getting popular with every passing year. 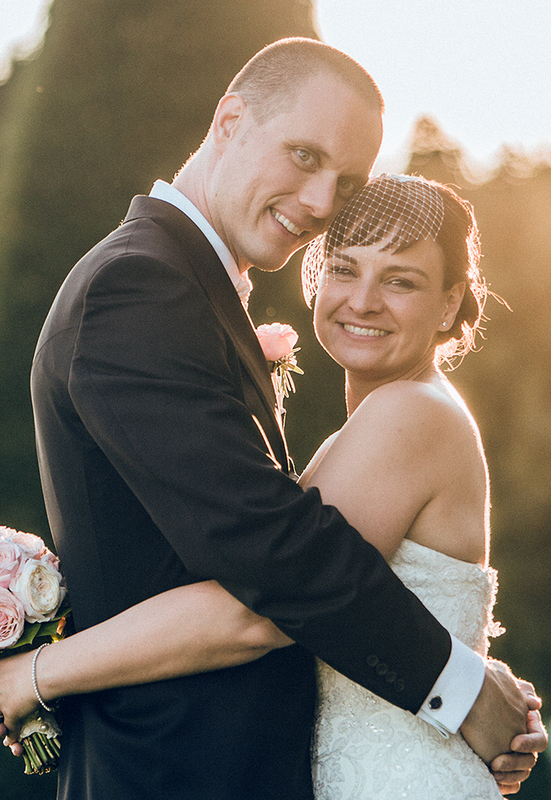 Many couples prefer to escape from their city lives to a secluded place for their wedding. Therefore, don’t think that it is something that will label you as crazy. In fact, your family members and friends will be thrilled to know that you are planning to have your wedding in the Moroccan desert amidst camels and sand dunes. 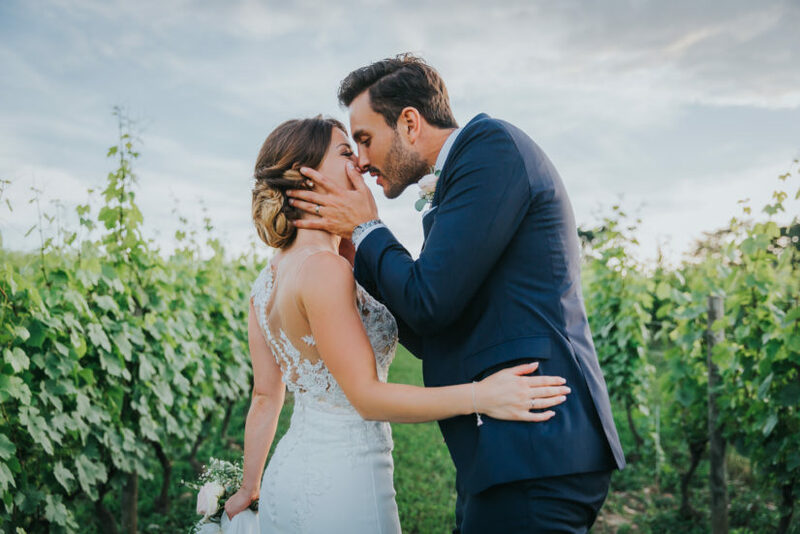 Since you are having such a wonderful destination wedding, do not forget to hire a good wedding photographer and a good wedding videographer who would perfectly capture the wedding. 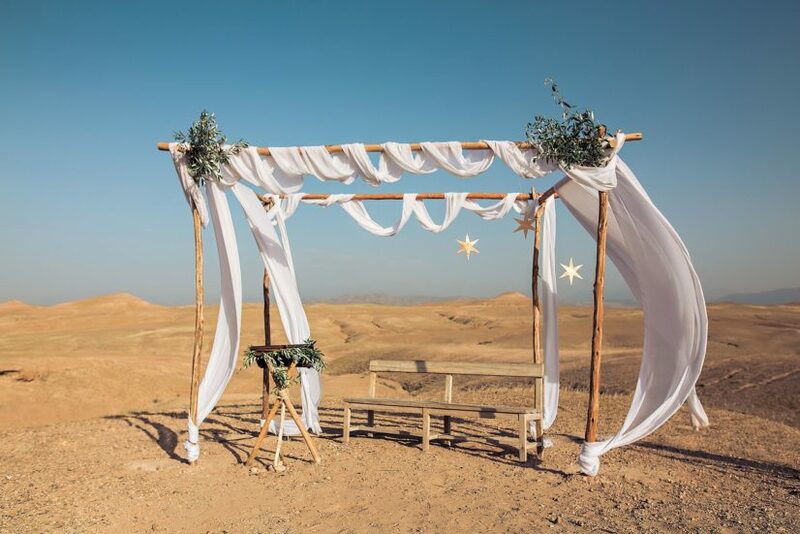 A wedding in the desert will be a perfect decor for film wedding ! 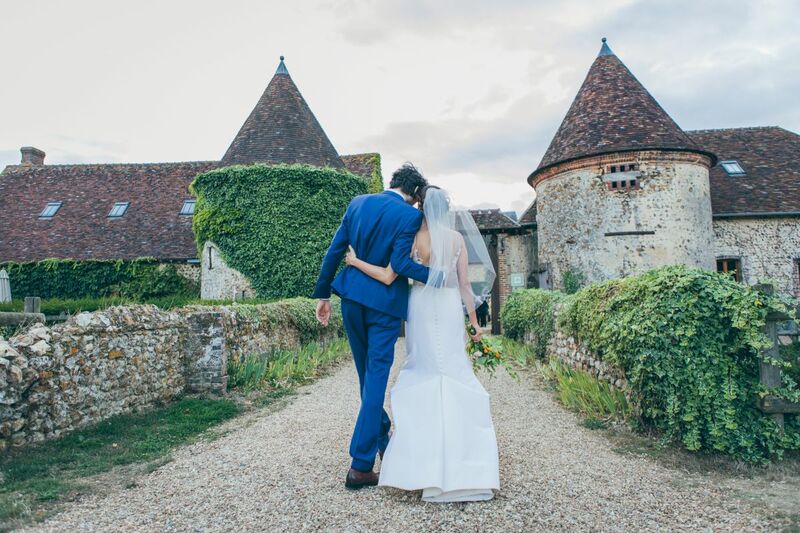 Céline the photographer and Emmanuel the videographer from the L’As de Coeur, Studio will be happy to capture this fabulous moment in the two media, for you. 4 years they immortalize fabulous weddings in Marrakech, Agadir, in hotels, palaces or desert. 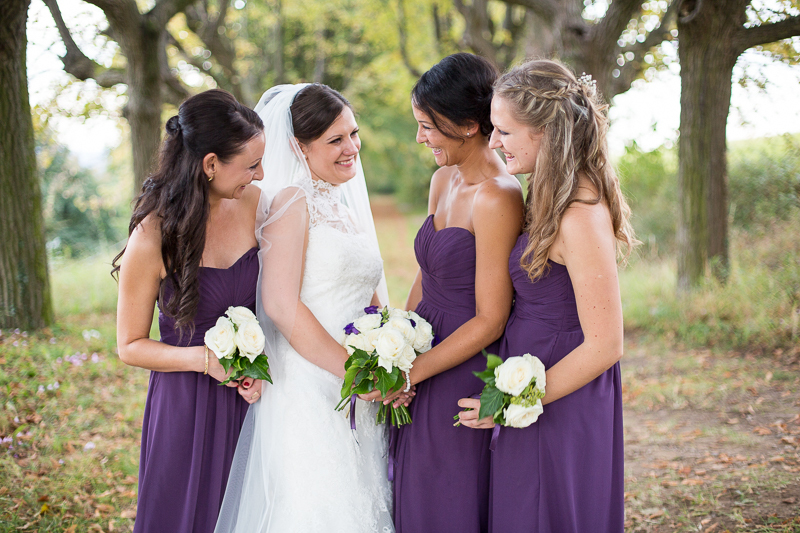 The whole setting is so grand and unique that you will absolutely cherish each and every moment of the wedding. A large house would be there in the middle of the desert, where the guests would stay. A number of small, white tents would be there on the desert. In their respective tents, the bride and the groom would get ready for the wedding. 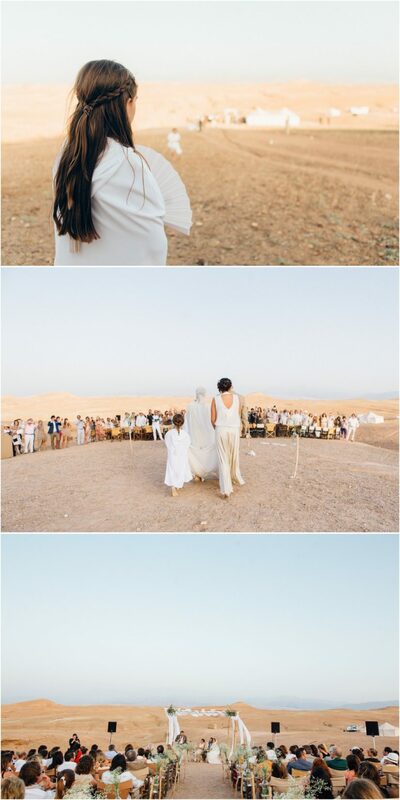 When you would see your beloved walking down the aisle with her father amidst the desert, you would feel happier than ever. As you and your bride would exchange the wedding vows in the daytime in the open desert, the guests would cheer and rejoice. There is a unique thrill, excitement and adventure to get married so many miles away from home, in a unique location. It will seem like a dream come true moment. The wedding reception will also be in the open desert after sundown. With the people around you singing, dancing and making merry, the evening will seem gorgeous. Amidst the fireworks and the cheering of guests, you would love to lose yourself in the eyes of your beloved and soak in the moment. Wedding in the Moroccan desert will be the best thing that can happen to you ever. 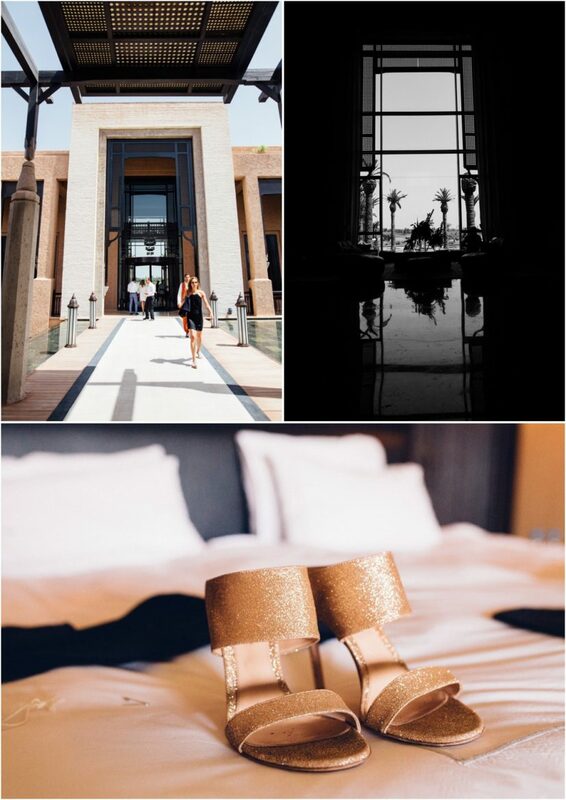 The D Day in Samanah at the gorgeous Royal Palm Marrakech. An original place to say yes ! the desert of Agafay in 30 minutes of the Medina. We are in the stone desert in an unusual encampemant the fabulous Scarabéo Camp. Just beyond to the snow-capped Atlas mountains. 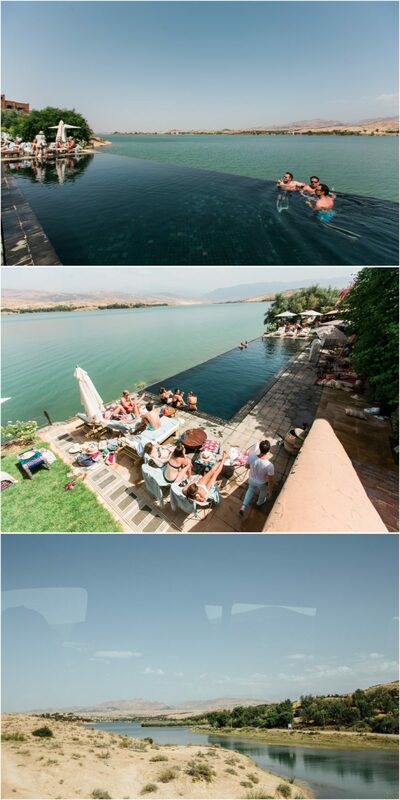 The following morning, a very colorful brunch was organized in a secret and private place next to Lalla Takerkoust lake. Decoration and Design made by Trésors de Claires and Made in Diva. You can see me working next to the swimming pool ! Thank you all for these 3 intense days ! What is the name of the place at the lake? I love this! Bonjour Alice, c’est une propriété privée autour du Lac. Je n’ai plus le souvenirs précis du nom.. Contactez les coordinateurs : Trésors de Clairs !